Light has been part of architecture for centuries. But in the last 20 years, more and more technologies have found their way into the design process of buildings and facades. 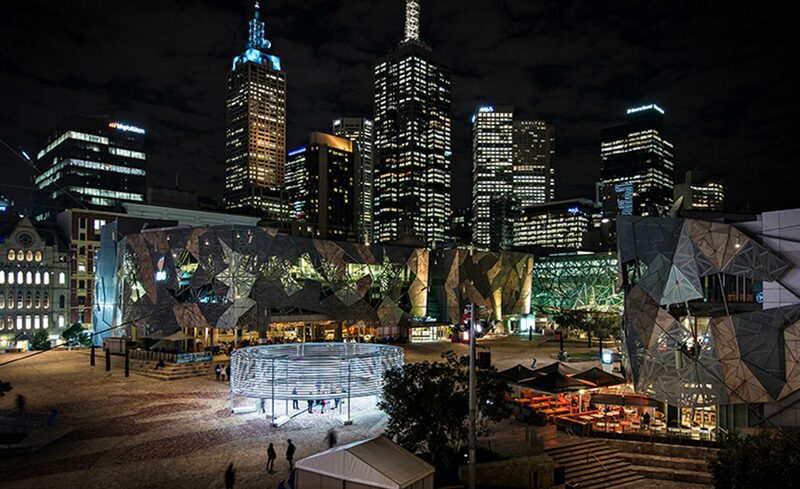 It isn’t about natural light only anymore, but rather about how lighting and technology can be used to make the building tell a story, transmit a message or even become interactive. 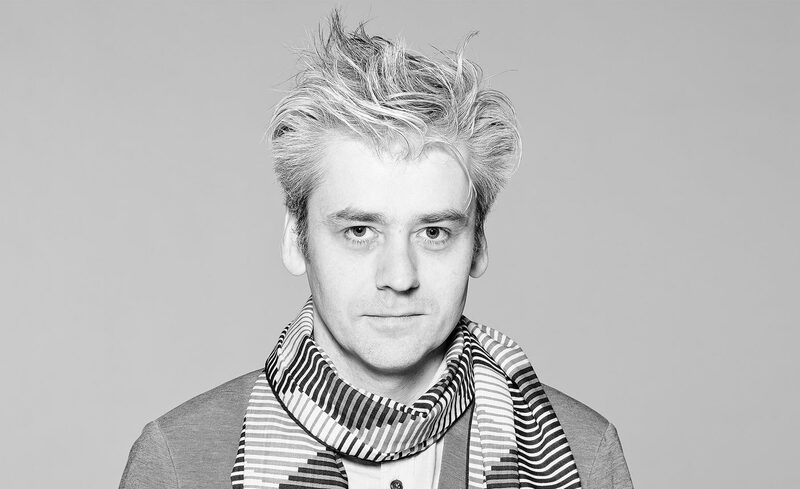 To explore this topic further, we sit down with iart’s founder and CEO Valentin Spiess, who talks to us about his agency, his take on media architecture and about his hometown of Basel. The award-winning agency iart is one of the leading companies in the field of media architecture. 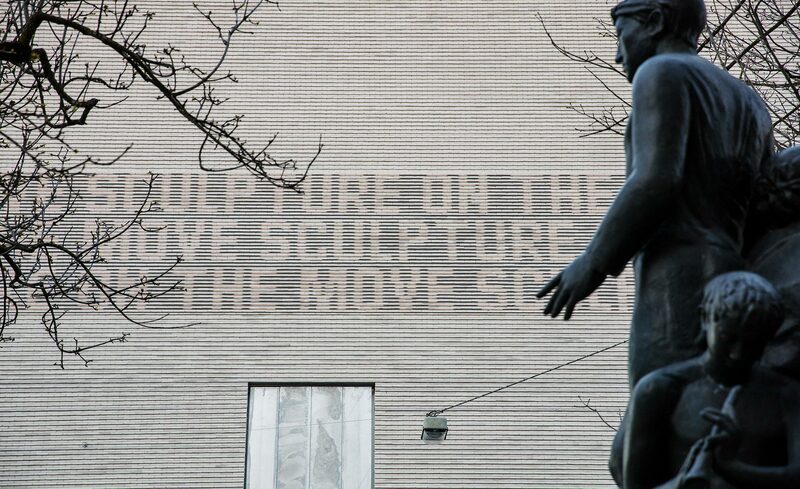 Iart works in the field of media, art and technology with the goal of creating interaction in public space. If you want to get an idea of that approach, you can do so on October 18th 2018. Forward, MINI and iart will join forces to explore the art of media architecture in a Forward Session at iart’s office. iart unites two industries. You are an engineering office as well as a communications office. How do these two sides fertilize each other when you are working on a project? Valentin: In the end, it’s all about creating something new – most of our projects deal with an idea, an implementation, or a detail that has not been done like that before. It’s not only about having a great idea, of course – you will still have to plan, engineer and build it. It’s great to have an interdisciplinary team that can think about the engineering side of things from early on. It works the other way around too: Engineering can be the inspiration for design, allowing the use of mechanical, optical or other properties to create a solution you didn’t think possible. At first glance, engineering and art are not a dream couple. How did this connection come about? In the beginning I was asked by artists that I knew about helping them out with the technical parts of installations and theatre settings. They had a vision, but did not know how to get there. So I started helping them – and here we are, almost 20 years later, with a team of 50 people. 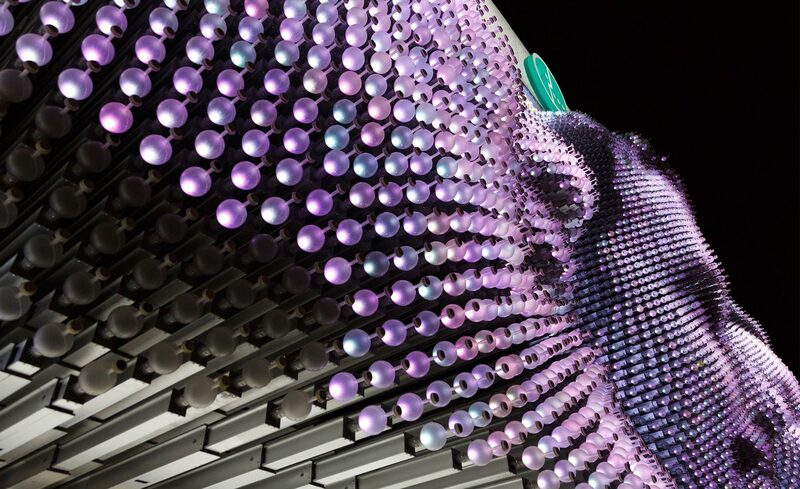 An exciting project was the kinetic building facade in Sochi. There has never been a facade of this kind before. Therefore, all technologies had to be developed first. How did you go about it? On all of our projects we use an agile process that consists of four phases. Basically, we define a shared vision and requirements, then set out to plan everything. After that, we build, and see that everything works. We start with the most complicated parts, prototype a lot, learn, and start over again. What were the biggest challenges during the design process? Everything was new, so we had to set out into the unknown – which we like a lot. Certainly challenging were the actuators, the parts that make the facade move. We went through several prototypes with different systems before it worked. There were about 11.000 of them, working together to recreate faces. 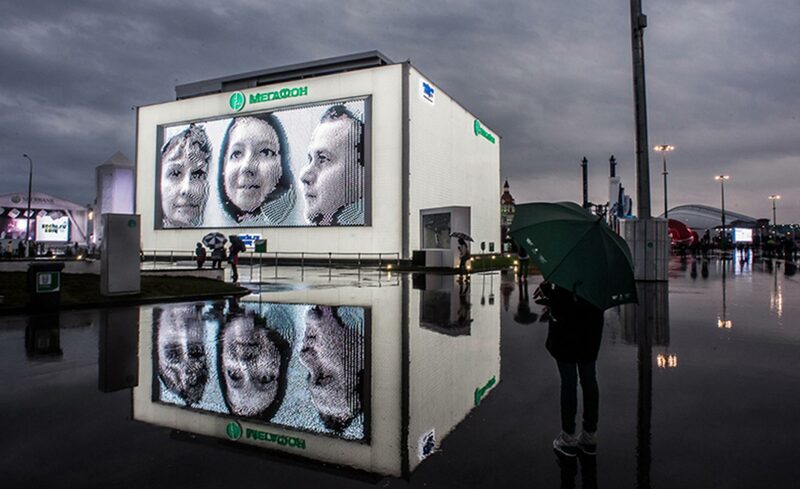 Then there’s the 3D-photo cabins that were installed all over Russia, the process to create the faces, the software to control it all – all of our abilities were in high demand. Not to forget: Working on a Russian construction site can be a challenge in itself. Where do you see the biggest potential of media architecture in the near future? How will media architecture change our ways of living? Media architecture can enable buildings to communicate with their surroundings: Tell the environment what is going on inside, and vice versa. 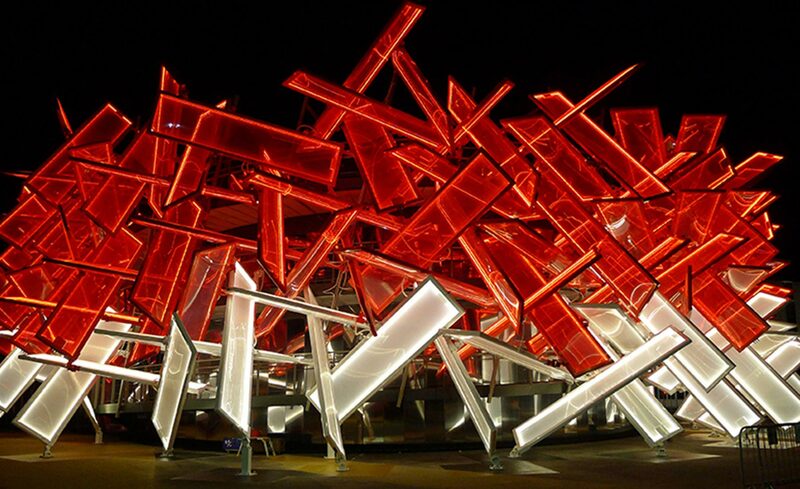 It can act like a membrane that allows for more direct communication within a city. What kind of media architecture project would you love to take on but haven’t had the time or opportunity to? We’re always up for new challenges. The projects we do are co-created with the architects, so it’s difficult to see what’s ahead – but we are looking forward to it. How does your own city, the city of Basel, already use these kind of new technologies? 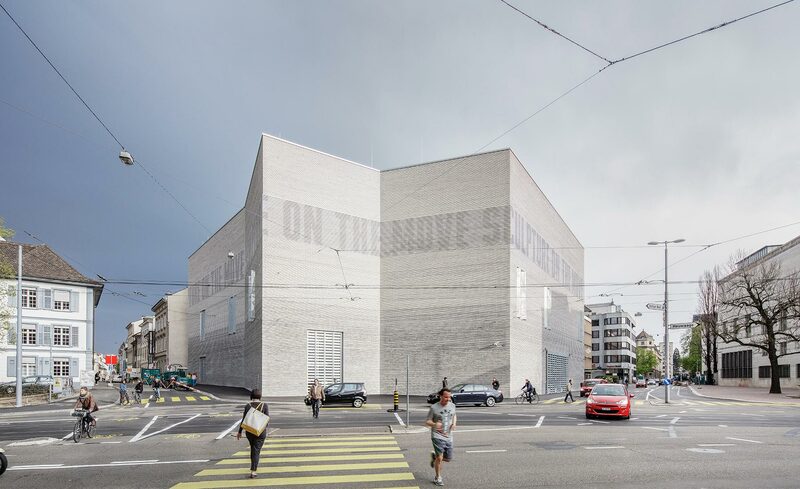 The new building of the Kunstmuseum Basel, designed by Christ & Gantenbein, has a light frieze that is integrated with the facade. We were happy to be involved since the competition for this building, and were able to work closely with C&G to create a communication tool that seems to be part of the facade itself. Which five buildings in Basel are absolute must-sees and why? Basel is a hot spot for architecture, being the home of Herzog & de Meuron among many other bureaus. Besides the already mentioned extension of the Kunstmuseum, the signal tower is a sight to behold, and if you’re coming to Fluxdock, you can see the Schaulager as well – it’s just a short walk away. Let’s tell our readers were to spend a day in Basel: what else besides your buildings should they visit? Make sure to go to one of our renowned museums: The Kunstmuseum, The Fondation Beyeler, or the Tingueley Museum. You will be talking at the Forward Session in Basel on October 18th. Can you give us a little teaser of what you’ll be talking about? Wouldn’t you like to know! You will have to come and see for yourself. We’re looking forward to meeting Valentin again at the Forward Session, hosted by iart, MINI and Forward. Come and join us on the evening of Thursday, October 18th, at Fluxdock Basel. You can find more info and sign up here (free admission).